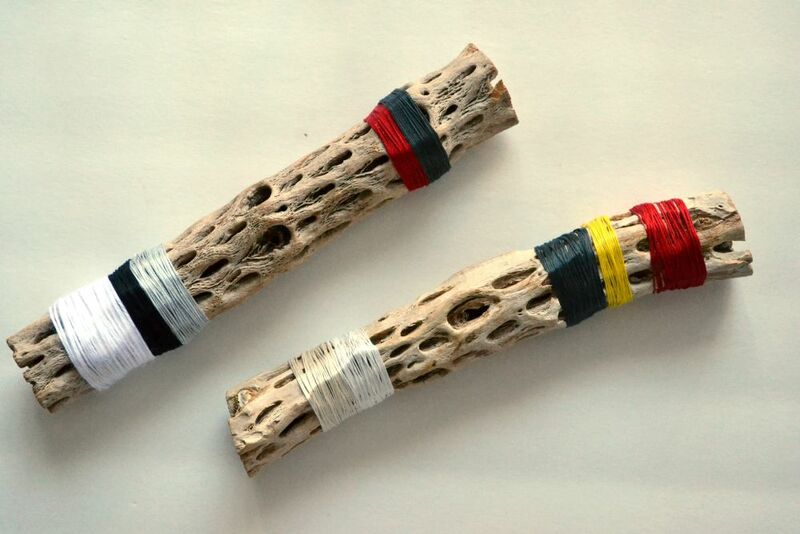 Driftwood pieces can become a beautiful and rustic decorative element in your home. 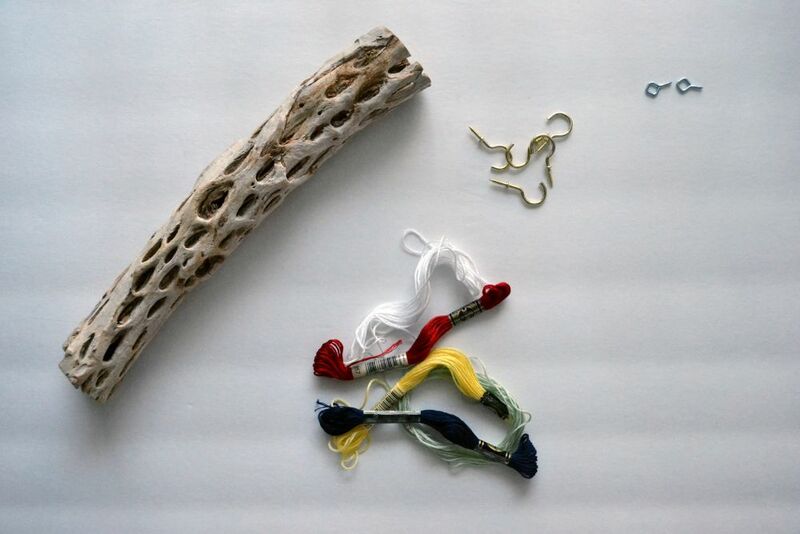 It’s typically found on or near the beach; or you can find pieces of them at your local craft store. They look great as a decorative piece on any fireplace mantel or dining table centerpiece and can also be used in other non-conventional ways, such as an element to create an accessory hanger. 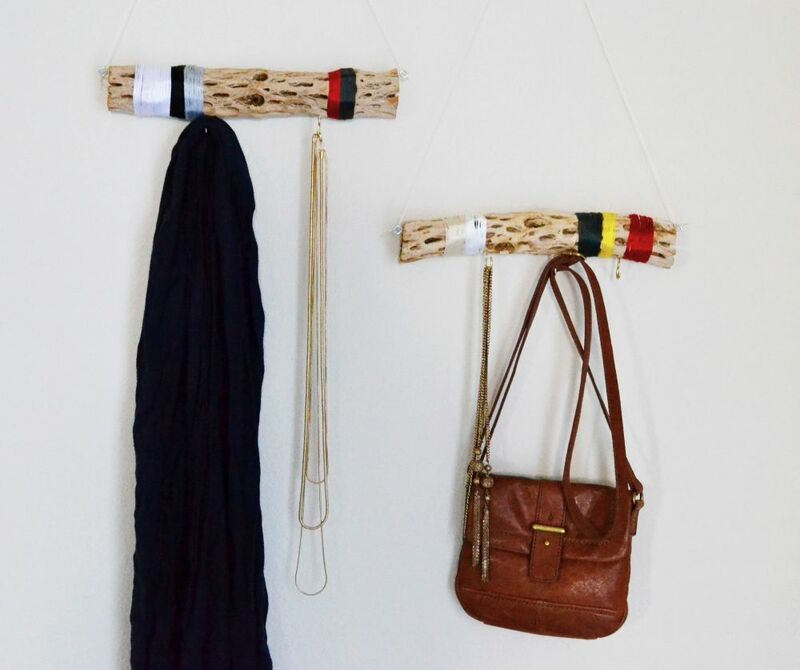 Try this DIY project to bring the beach-feel into your home while creating a functional piece of art for your bedroom or closet. 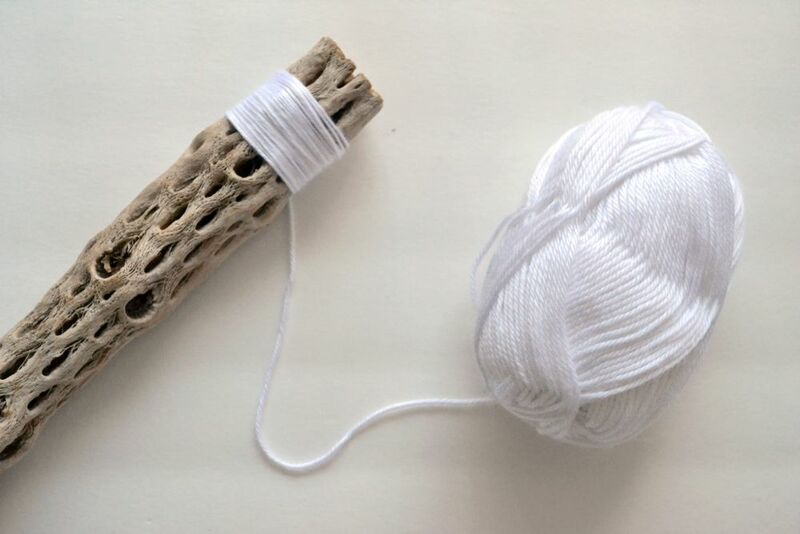 If you don’t want to purchase driftwood from the craft store, you can take a walk at your nearby beach for some, or if you’re not so close to the beach, grab a few small pieces of wood from outdoors. This would need to be cleaned and sanded down to ensure a smooth, indoor-friendly finish. Also, choose wood that is rather thick. 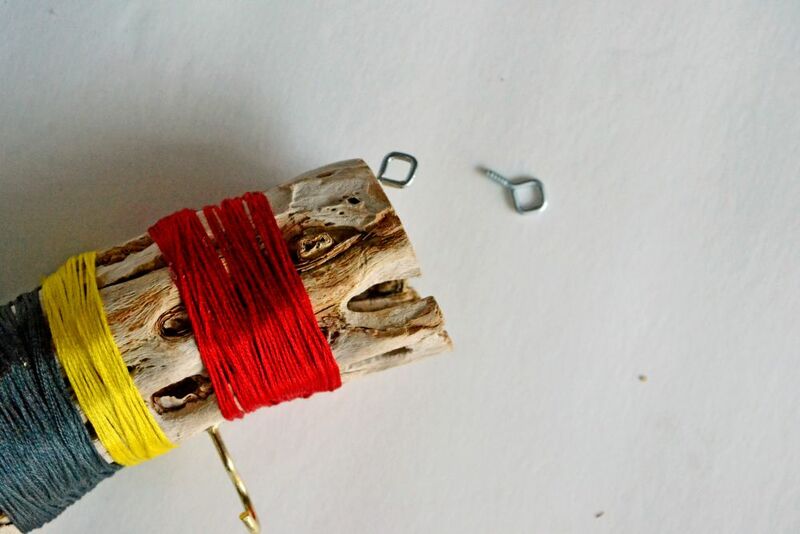 A thin piece of wood would snap very easily and wouldn’t hang on the wall very well. 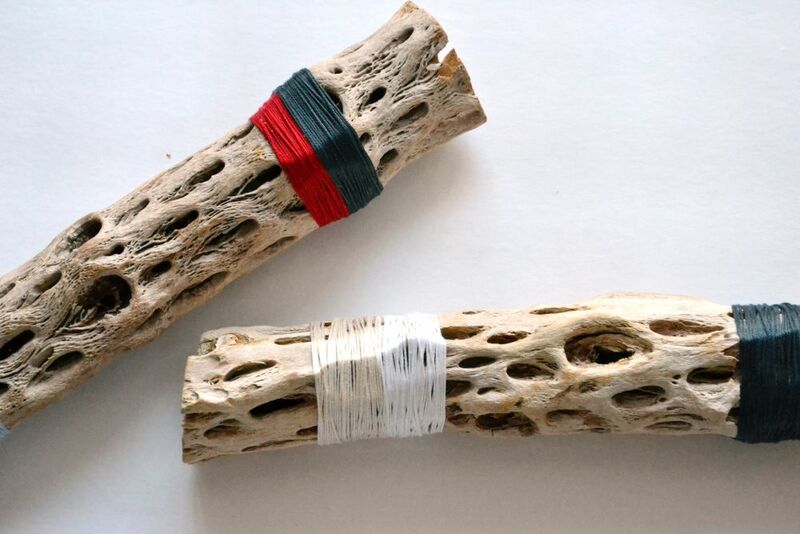 Begin wrapping the driftwood in different color twine or yarn. There’s not really an exact method for this step, except making sure that the twine is tightly coiled. I secured the loose string in the back with liquid craft glue. Next, note which way is the front, back, top and bottom, and screw a few key hooks at the bottom. 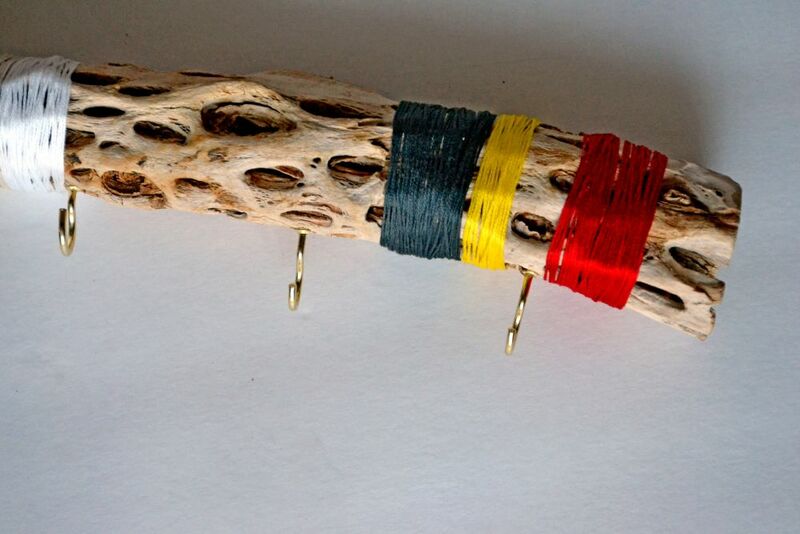 Depending on the wood you’ve chosen, it may take a bit of pressure to insert the hooks. Next, screw in the eye hooks at the ends making sure they are placed at the approximate same height on either side. 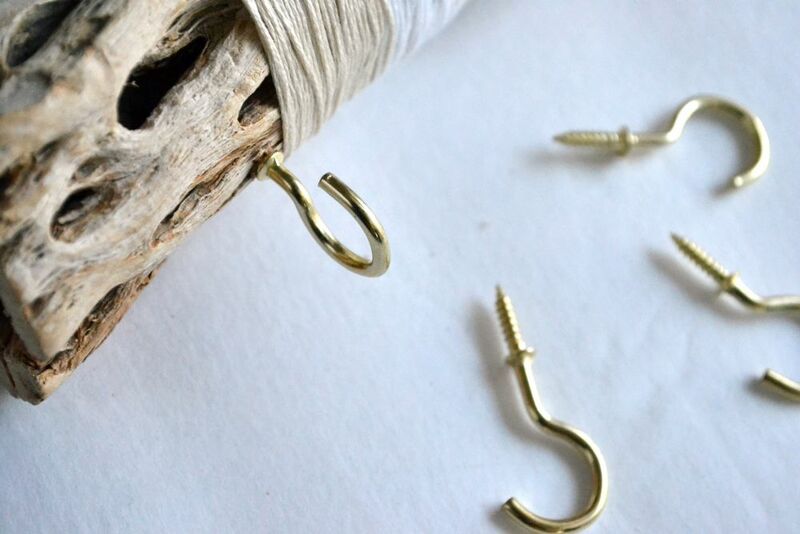 String twine through these hooks at the ends and tie a knot at the top. This will allow you to hang it on the wall. That’s it! 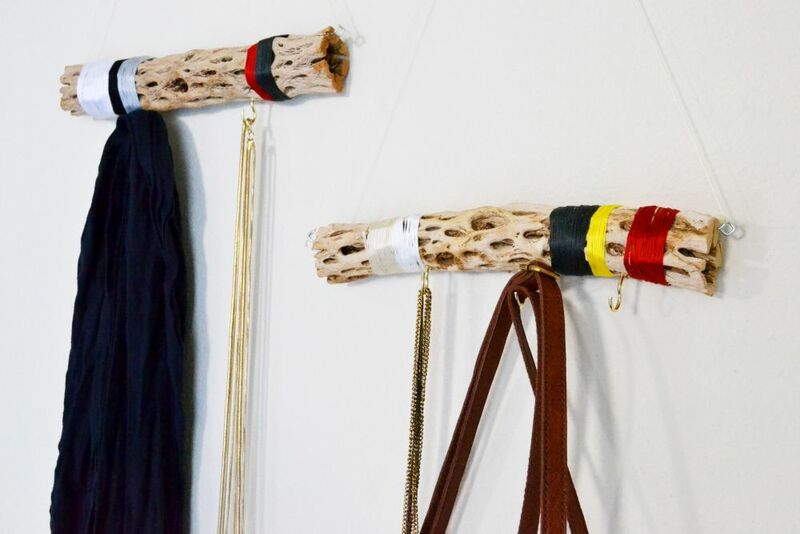 Use this piece to hang jewelry, scarves, keys and any other light-weighted accessories. Heavy items such as backpacks and large purses will probably not hold on this hanger. It’s a rustic, minimal piece that looks great in any closet or entry and a great conversation piece when your guests visit!